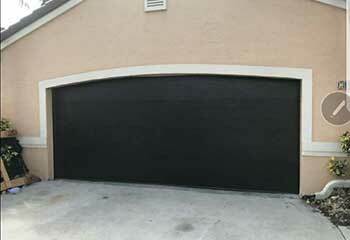 Check Out The Latest Projects Our Garage Door Experts In Norwalk Completed! In this page you can find examples of the latest projects that our technicians completed. 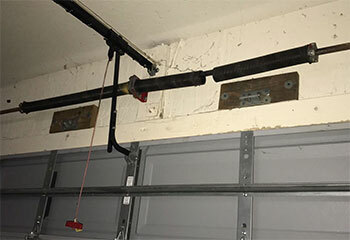 Remember, garage door systems should never be handled by amateurs. Customer Issue: One of the customer’s rollers got stuck, and required replacement to allow the door to move smoothly. Our Solution: The team got the door off the track, unscrewed the broken roller, and put in the new replacement. They also took the opportunity to check the other rollers for warning signs, replacing one other that seemed to be close to out as well, and lubricated the whole set before returning the door to its proper position and testing its movement. 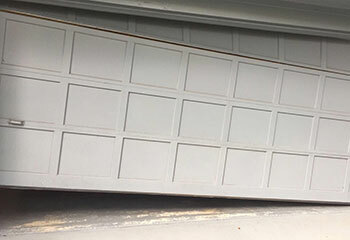 Customer Issue: Searching for a new garage door. Our Solution: We started by measuring the dimensions of the customer's garage, to narrow down his options a little. Then we asked him about his preferences, and after finding out durability was his main desire, we recommended a Clopay Modern Steel garage door, which was a perfect fit for what the customer was looking for. We then installed it for him and saw to it that every part of the system was able to work smoothly and effectively. Our Solution: The door could not be opened as a result of the breakdown, so we began by first disconnecting it from the opener and then examining the lift cables to see if they'd been damaged as well. After we replaced the damaged spring we made sure the door had no other issues and was able to open without a problem. 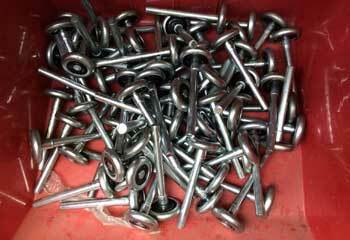 Our Solution: After examining the rollers and the track in question, we found severe bending, which we quickly proceeded to repair. After doing so, we popped the rollers back inside and made sure they could move unhindered once again.